Hearing Health Care’s Dr. Pamela Benbow recently was asked by a patient, “Is hearing connected to memory?” The relationship between how well you hear, your memory and thinking ability is a question that’s getting a lot of consideration. Several studies indicate the answer is yes. One theory shows that untreated hearing loss often causes people to become less social, leading them to withdraw, which means their brain is less engaged in activities. Researchers in Ireland found a strong link between hearing loss and the risk of dementia. A Trinity College Dublin study looked at more than 20,000 adults with mild, moderate and severe hearing loss. 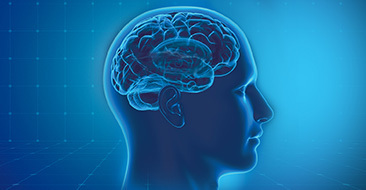 Those with mild hearing loss were twice as likely to develop dementia, with the risk increasing to three times as likely for moderate hearing loss and five times as likely for those with severe hearing loss. It’s important to understand that there is no “cause and effect” connection, but instead a correlation between the two. In other words, hearing aids may not prevent dementia, but using hearing aids may significantly slow the rate of mental decline. The study authors continue to look at the connection between hearing aids and dementia. At Brandeis University in New York, researchers are using brain-imaging studies to map any links between hearing loss and cognitive abilities. The results indicate that aging adults with hearing loss show less “gray matter” in parts of the brain used to receive and process sounds. They’re looking into whether hearing aids, providing clearer speech, may allow the “gray matter” area to recover size and function. The theory is that straining to hear draws resources away from other brain functions. Johns Hopkins researchers in Maryland are also looking into the link between dementia and hearing. Their findings indicate that untreated age-related hearing loss appears to speed up cognitive decline. Their ongoing multi-year study is tracking a group of adults with hearing loss to study the importance of treating hearing issues. The results are expected in a few years. Hearing well is not the only path toward keeping your brain active and healthy. It’s important to “exercise” your brain as you age. Many people find crossword puzzles and other stimulating games help memory functions. Social functions also help provide a workout for your mind. A healthy diet and exercise also may contribute to memory function. 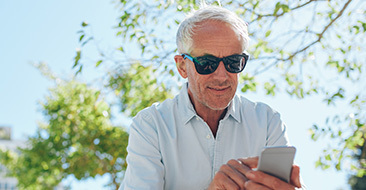 The continuing research into a probable connection between hearing loss and cognitive ability highlights the importance of having regular hearing check-ups, especially as we age. If you’re over 55 and have not had your hearing checked in years, it’s time to make an appointment for a baseline hearing evaluation at our Conway office or Myrtle Beach location. Dr. Pamela Benbow has helped local community members hear better for more than 20 years. Our approach to patient care is centered on one goal – to help you achieve your best hearing. Call us today at (843)-491-4341 in Myrtle Beach or 843-484-0723 in Conway.